This entry was posted in English and tagged Exodus. Bookmark the permalink. Are you ok if I use this graphic in an unpublished powerpoint that I’m using to teach a biblestudy on Exodus with? Many thanks! Is it ok if I use this for an unpublished biblestudy visual aid (powerpoint slide)? May we print 100 copies of this diagram and hand them out to our church as a part of the sermon notes in our current Sunday teaching series? 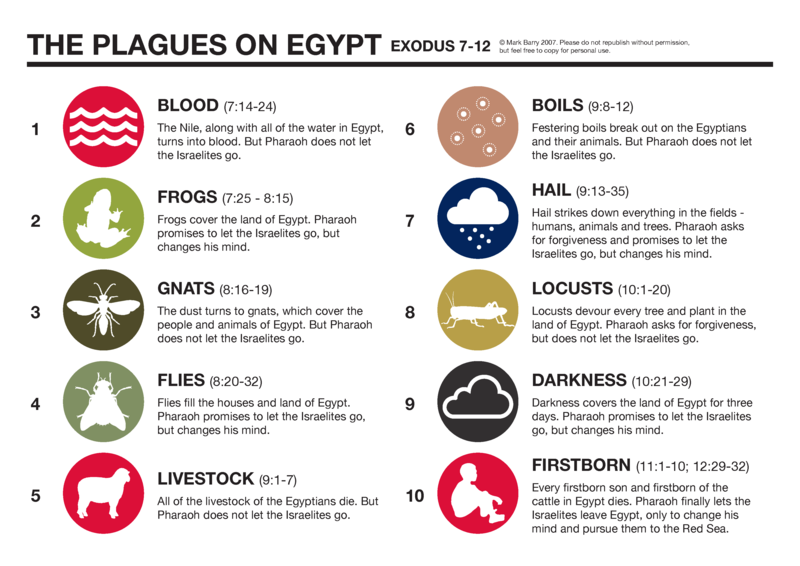 My BSF class is getting ready to study the ten plagues. Can i make 35 copies of your chart. Hi Beverly. Yes, feel free to make copies for your class. Reblogged this on Jonathan's docs.